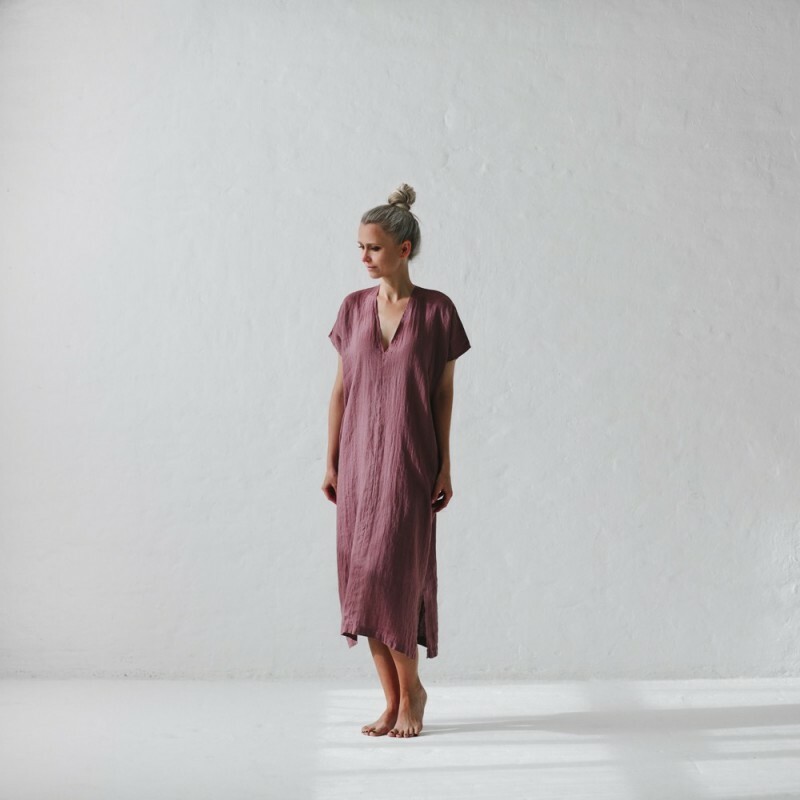 This simple V neck dress is made from a soft 100% Baltic linen, and comes in a rich mauve colour. 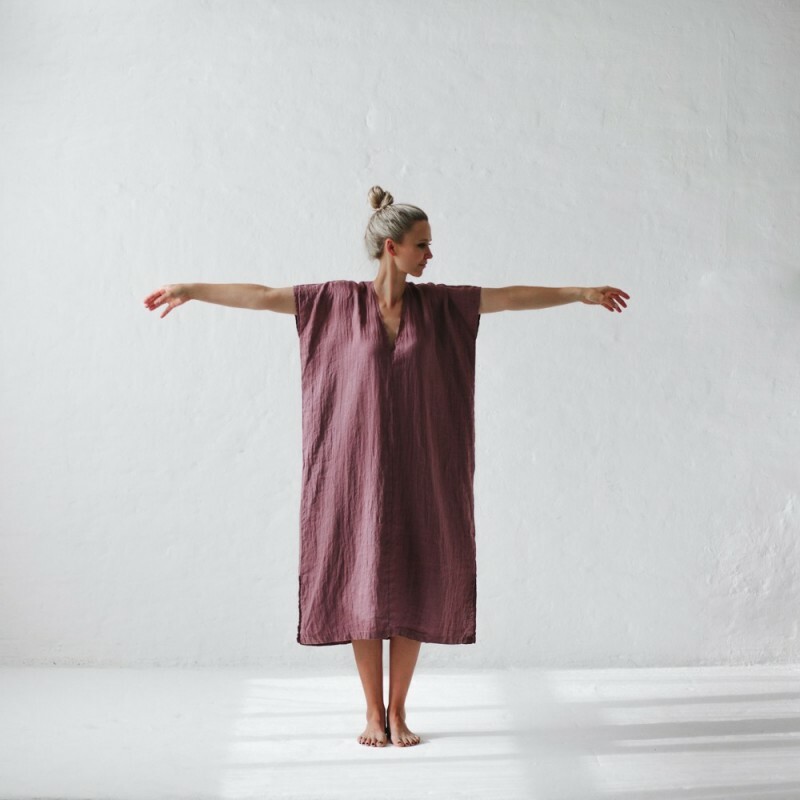 It would look stunning paired with a brown/tan belt and your favourite summer sandals, or leave it loose and flowing for a more casual option. Subtle splits in the side hemline make it easy to move (and dance). 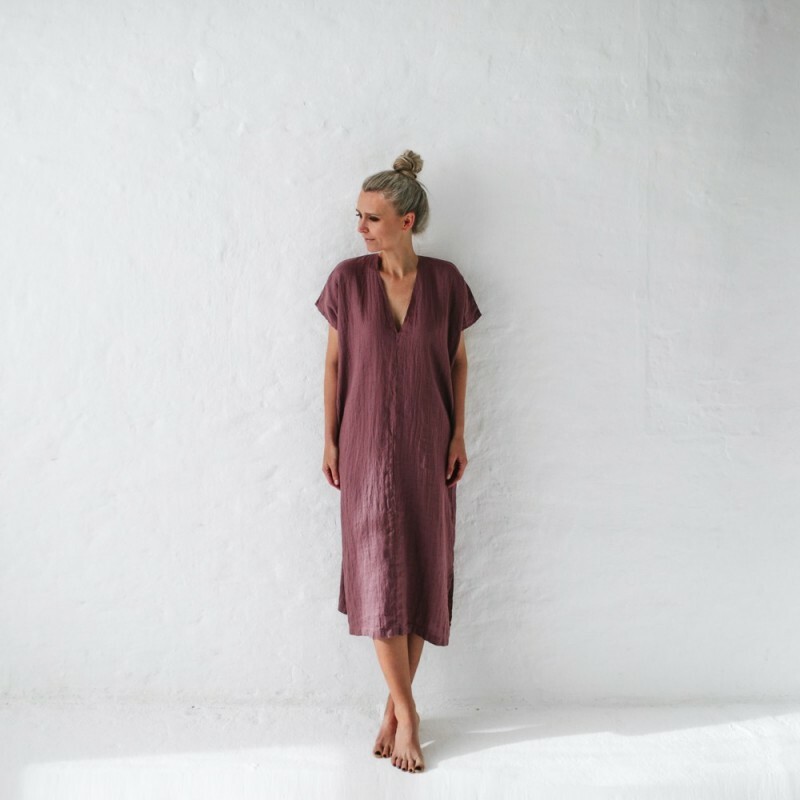 This dress will fast become a summer favourite! Buying this product = 159 Reward points for Members. Your cart will total 159 points = voucher of $7.95. Not a Member? Join at checkout to claim these points. One size only - easily belted for a more fitted look. 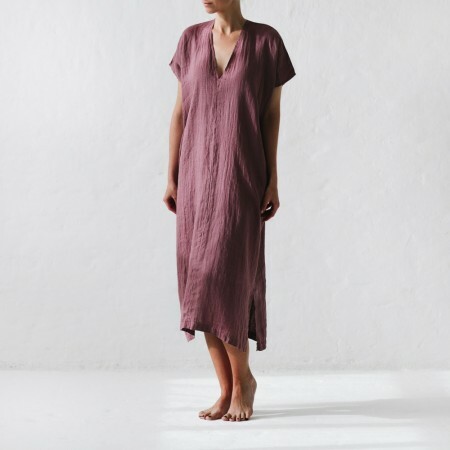 We recommend this dress best fits Australian sizes 6 to 14.